Description: This invitation measures 7¼" x 3¾", folded and printing is matte (Flat. A delicate butterfly gently floats across the panels of this tri-fold Bat Mitzvah invitation. 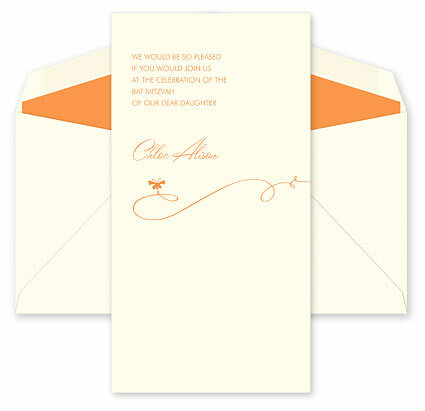 Your text is printed in our bold Tangerine orange ink on our rich cream paper.